I was working in the backyard on Sunday when I came across this giant caterpillar on a stick. This has to be the largest caterpillar I’ve ever come across. Thanks to What’s That Bug I was able to discover that this is a Giant Silkworm. 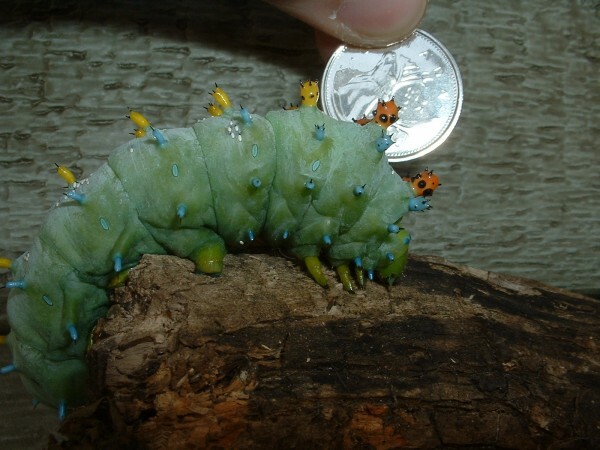 The Cecropia Moth (which is what the Giant Silkworm will become) is a very large moth. According to the Cecropia Moth – Life Cycle website, the Cecropia Moth has a wingspan of 5 to 6 inches! There is also a picture with a quarter to try and show how large the Giant Silkworm is. Note that the silkworm appeared to be trying to protect it’s head in this picture as it sort of pulled it in under neath it’s body. 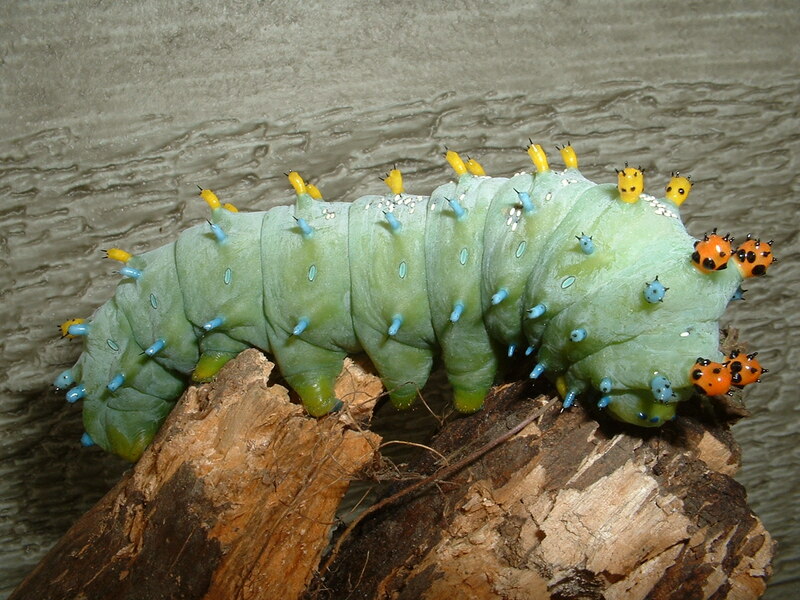 This entry was posted in General, Kemptville and tagged caterpillar, cecropia moth, giant silkworm, moth, yard on 2006/08/08 by Jeff Ivany. Where’s Godzilla when you need him! yeah.. I caught a giant silkworm moth by my parents pool this past summer and got some pics of it.. I thought it was a bat or a bird when I saw it flying around.. it was amazing..